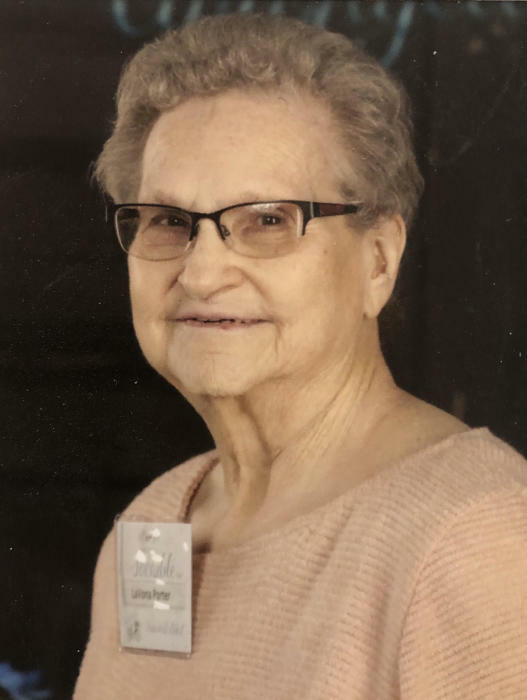 Our dear mother, LaVona May Levingston Gladden Porter, passed away March 20, 2019 in Grantsville Utah at the age of 85 years old. She was born November 27, 1933 in Bartlesville, Oklahoma to Clarance Albert and Hazel Lorene Wooten Levingston. She was the 8th of 12 children. She graduated from South High in Salt Lake City, Utah. She was a member of the Church of Jesus Christ of Latter-day Saints. She worked at the Tooele Army Depot. She was married to Deward Eugene Snow in Bartlesville, Oklahoma in March, 1957 in which she had a daughter, Rhona. The marriage later ended in divorce in 1966. In May 1969 she married David Wheeler Gladden in Elko, Nevada. They lived in Grantsville where she became mother and friend to Richard, Ronald, Rex, Ross and Sherry. In that marriage she was blessed with her son, Randy. The marriage was later solemnized in the Salt Lake Temple Wheeler died in 1998. In January 2002 in Ogden, Utah, she married Wayne Spatig Porter. Wayne died in 2013. After Wayne’s death she lived with her daughter Rhona and family in Grantsville, Utah. She is survived by her children Rhona Boutwell of Grantsville, Utah, Randy (Marcie) Gladden of Roy, Washington, and Ronald Gladden of Grantsville, Utah. She is grandmother to 19 grandmother to numerous grandchildren. Adopted grandson Brue Silva Survived by Shirley Haight of Grantsville, Utah and Albert Levingston of Fielding Utah. She is preceded in death by Husbands, children, Richard, Ross, Rex, and Sherry McCroskey, parents, siblings, David, Lena Reed, Elsie Morris, Alberta Sutton, Anna Belle Snow, Wilma, Wilbur, Nancy Wells, and Alice Davie. A special thanks to Harmony Home Health. Thanks Barbara McFarland for all of the kindness and love you showed our mother during her time. Viewing will be held Wednesday, March 27, 2019 at Grantsville Stake Center, 550 East Durfee St. Grantsville, Utah 11:30 a.m. – 12:30 p.m. Graveside services will be at the Grantsville Cemetery, 370 W. Main St. at 1:00 p.m.